Sets the standard for heavy duty performance, with 14,000 lb. capacity. 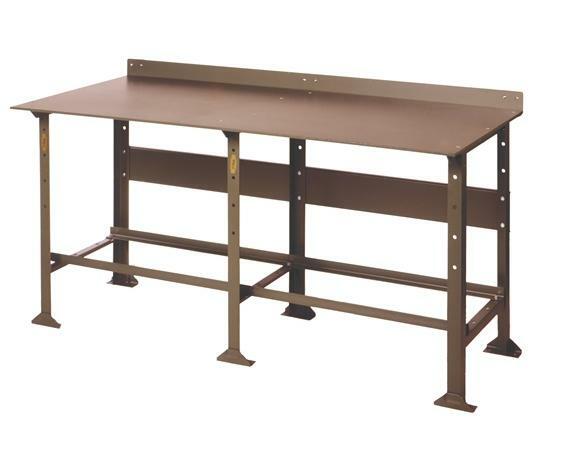 Super-rugged 3/8" steel plate bench top with 12 ga. back plate. 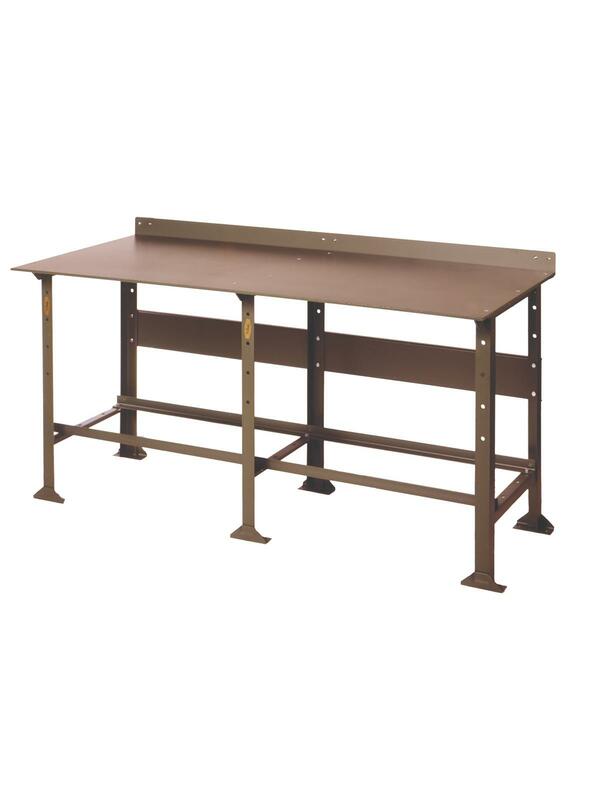 Rugged all-welded 2 x 2 x 1/8" angle iron bench legs and 1-1/2 x 1-1/2 x 1/8" tie rods create a rock solid workbench support frame. Predrilled countersunk 3/8" steel plate bench top, 12 ga. formed stringer and 12 ga. back plate provide superior strength. Heavy Duty ball bearing bench drawers and lower shelves (call for information) are available. Available in Green or Gray. Call for additional colors available. Shipped KD. FOB Shipping Point.